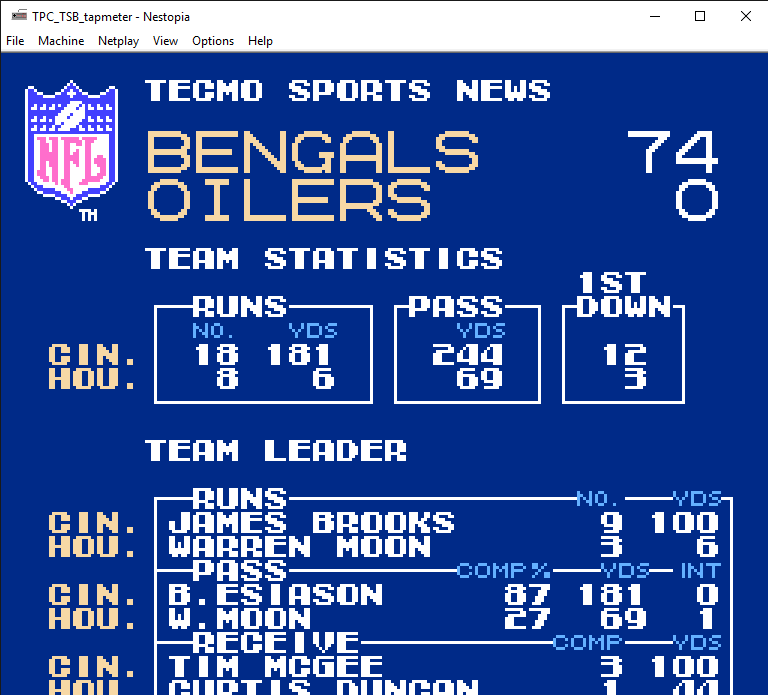 Hey @VGifted Just wanted to tell you, this is cool stuff. 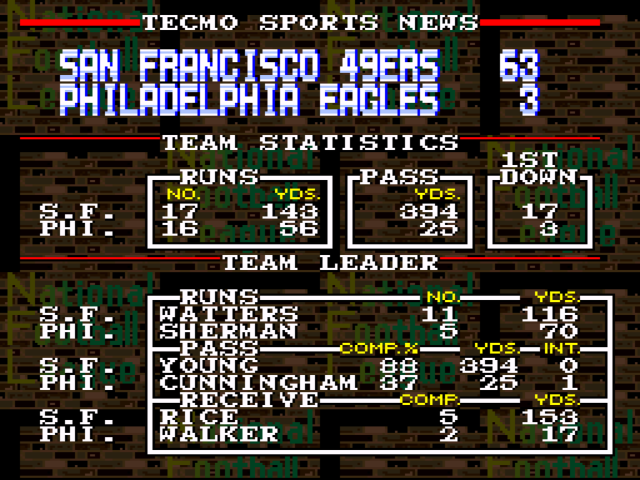 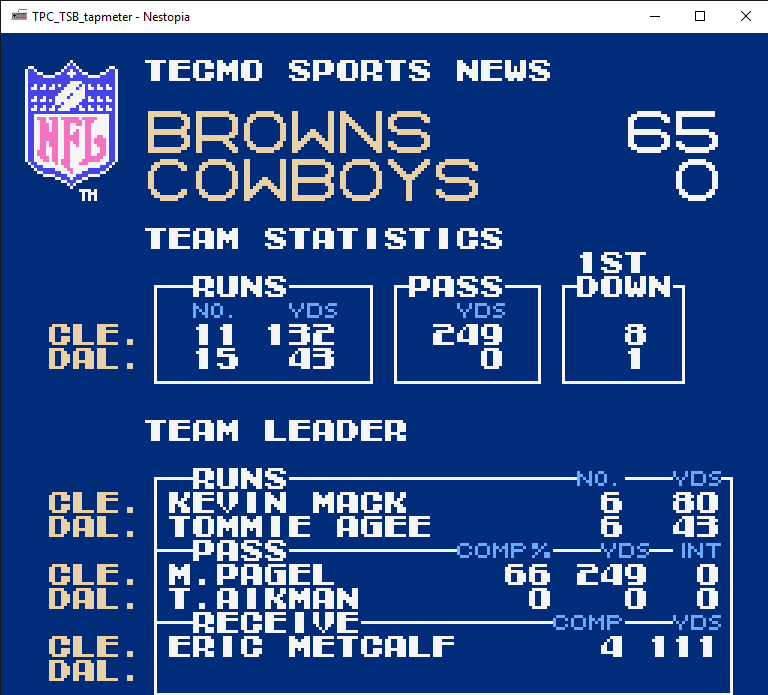 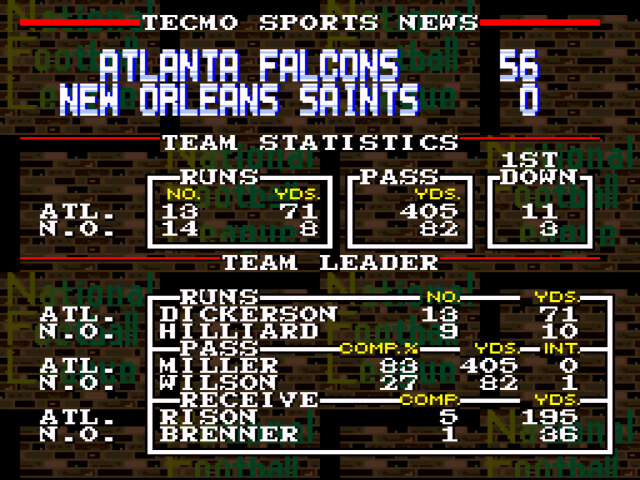 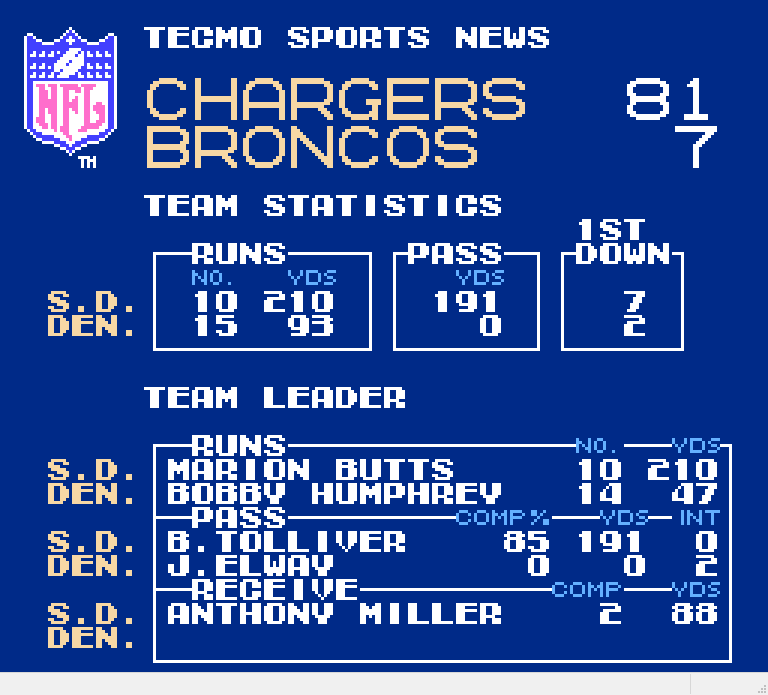 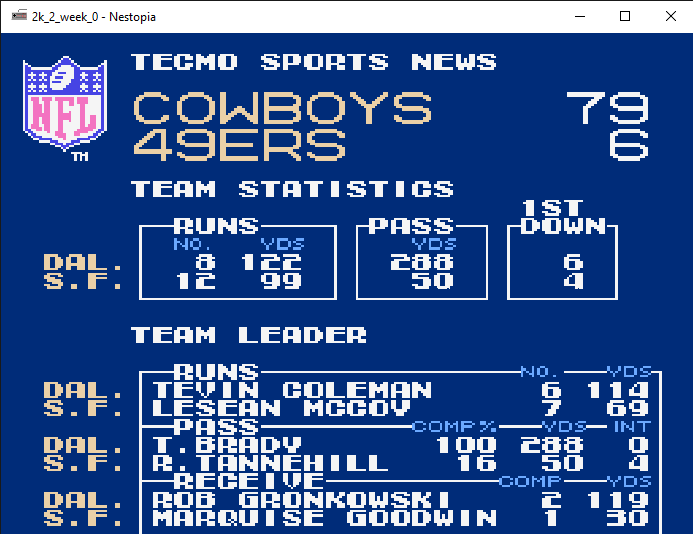 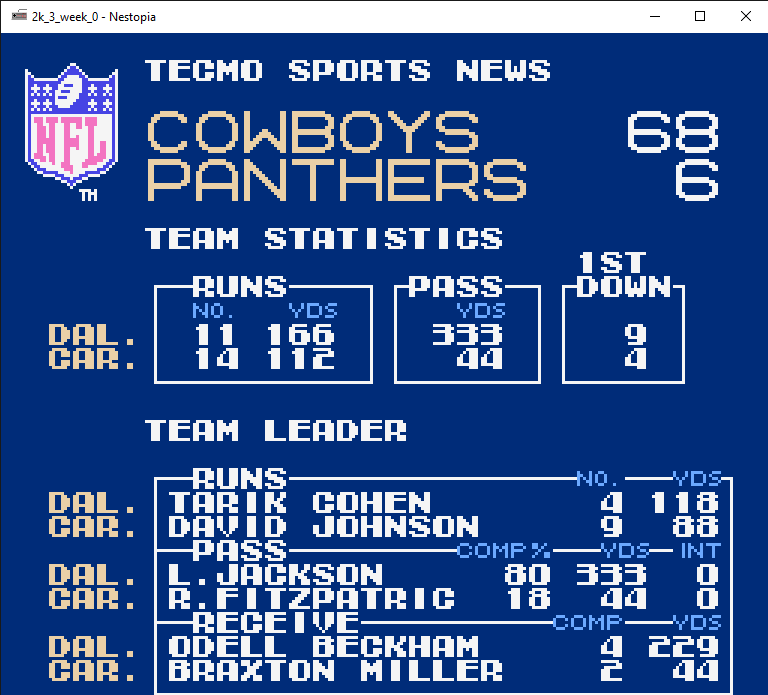 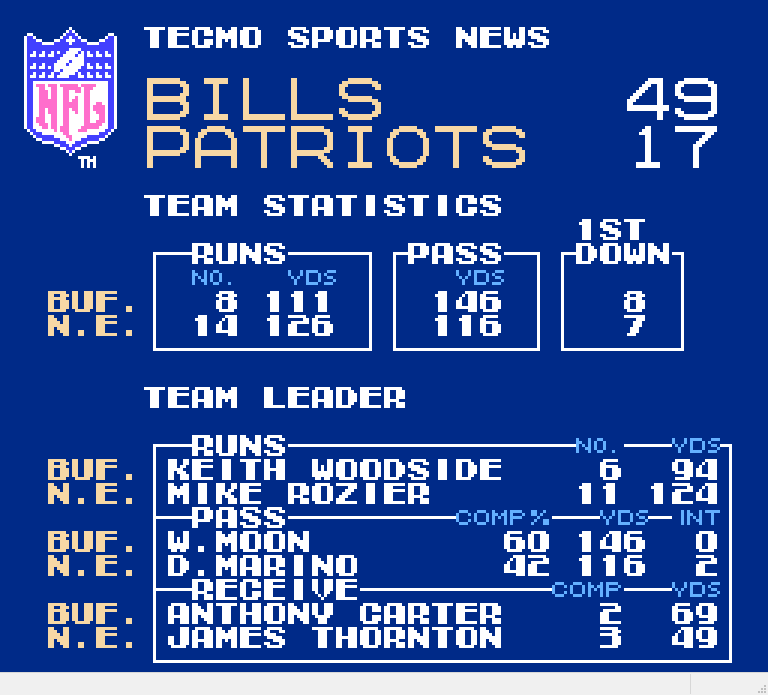 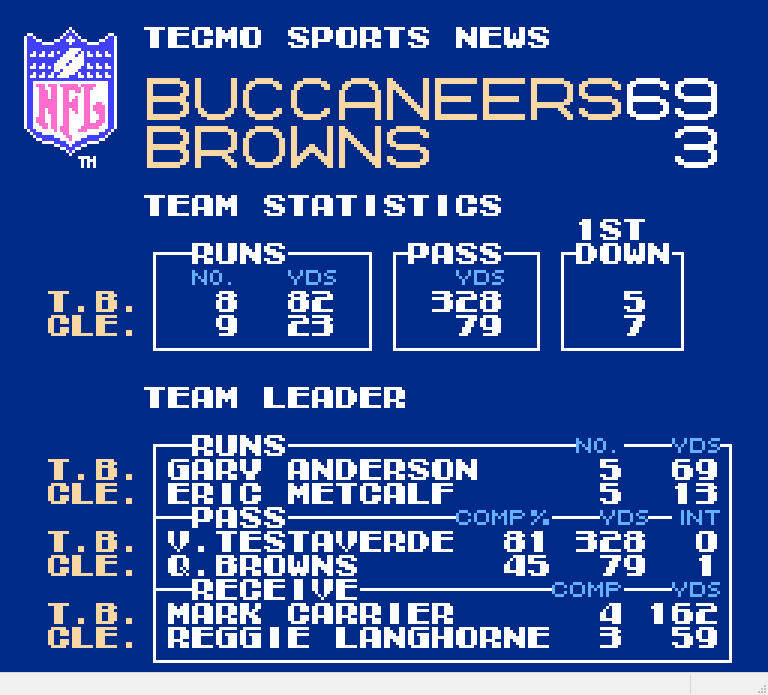 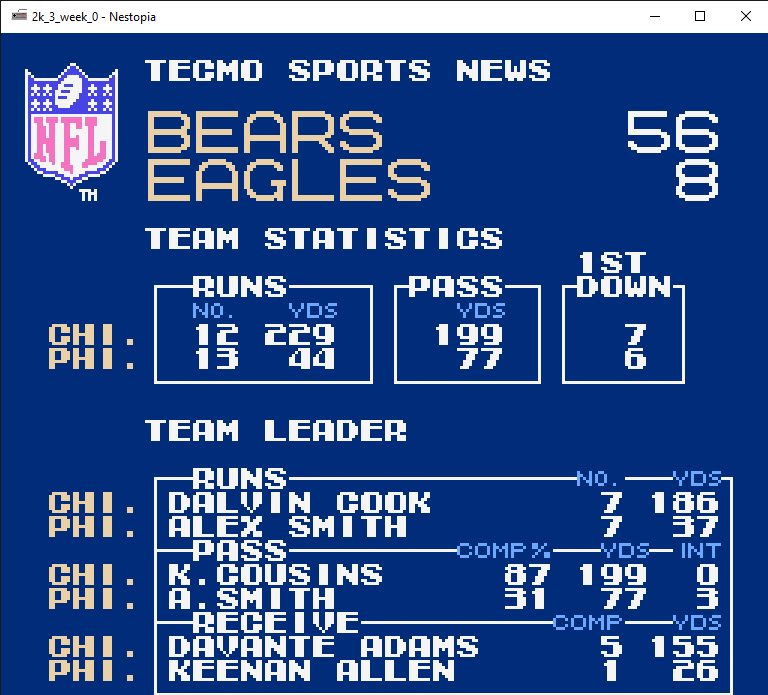 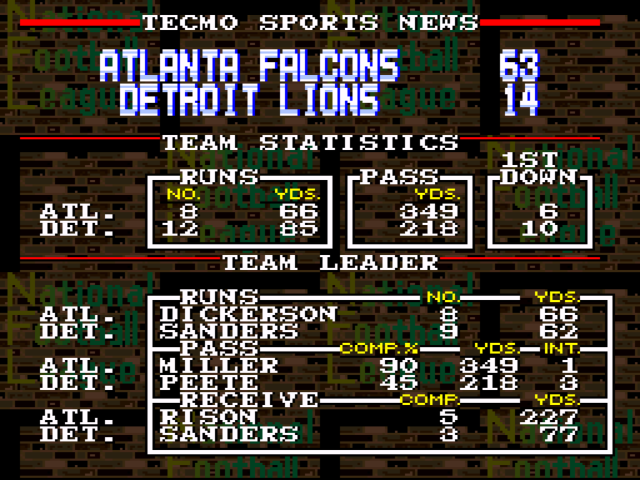 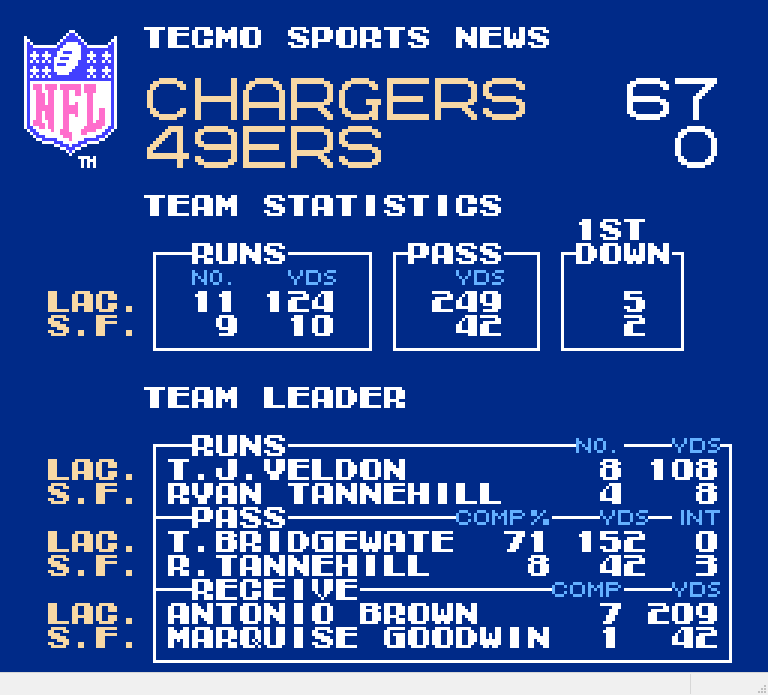 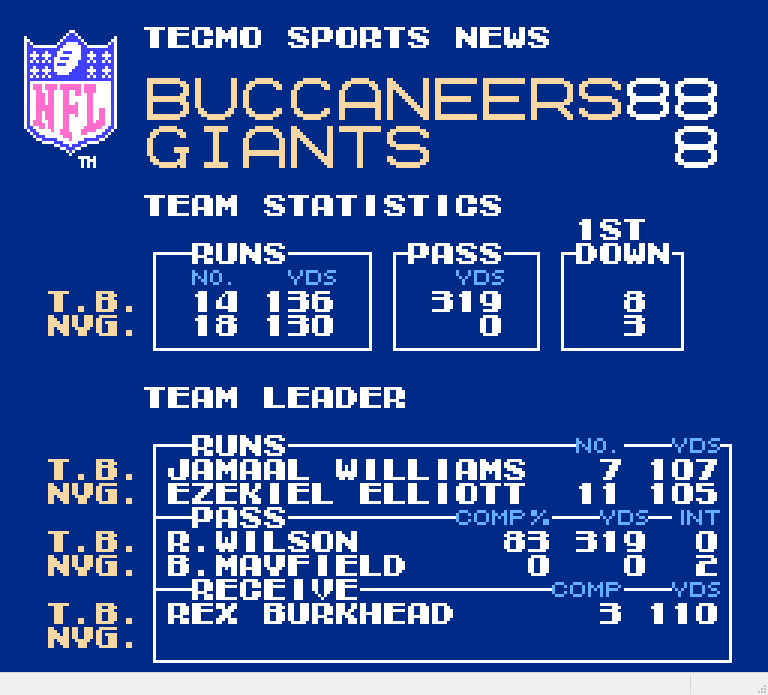 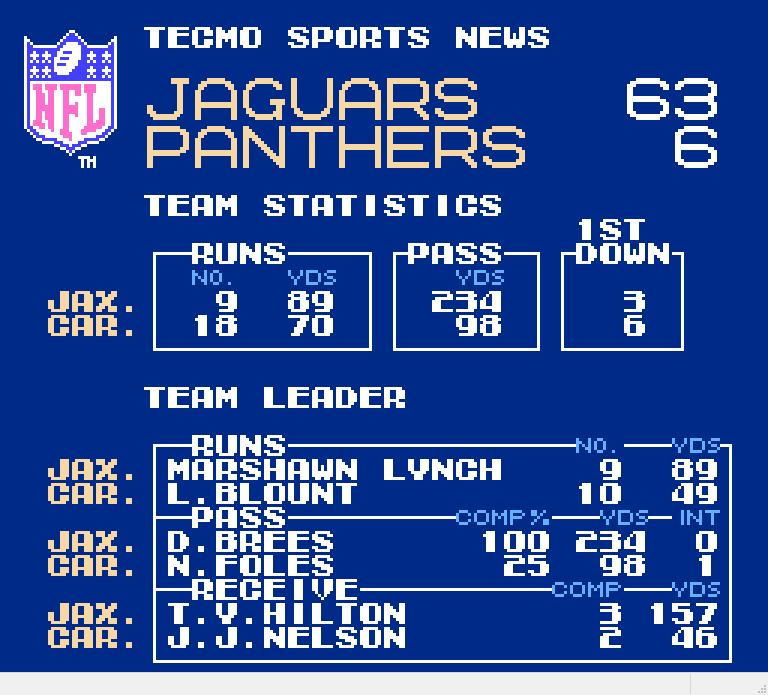 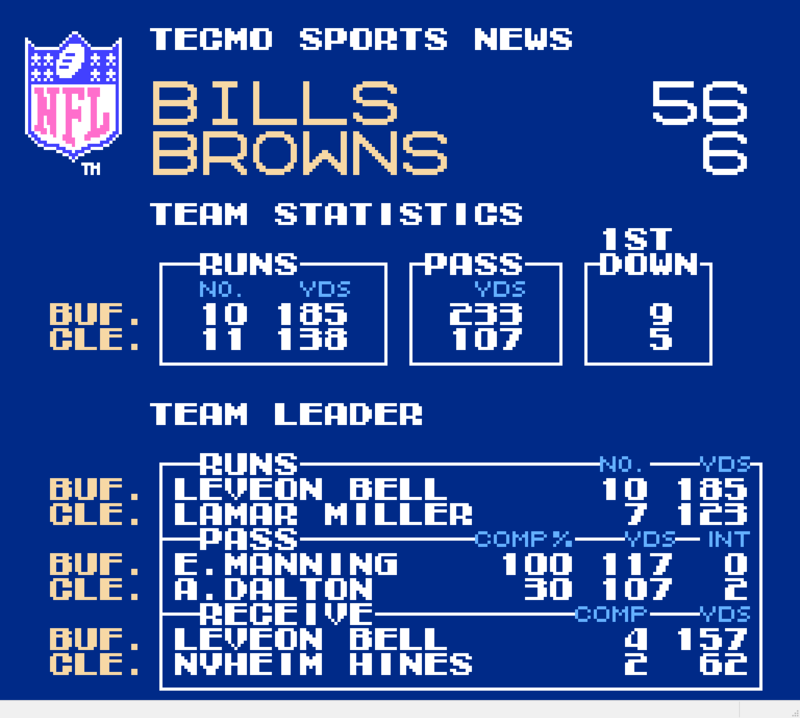 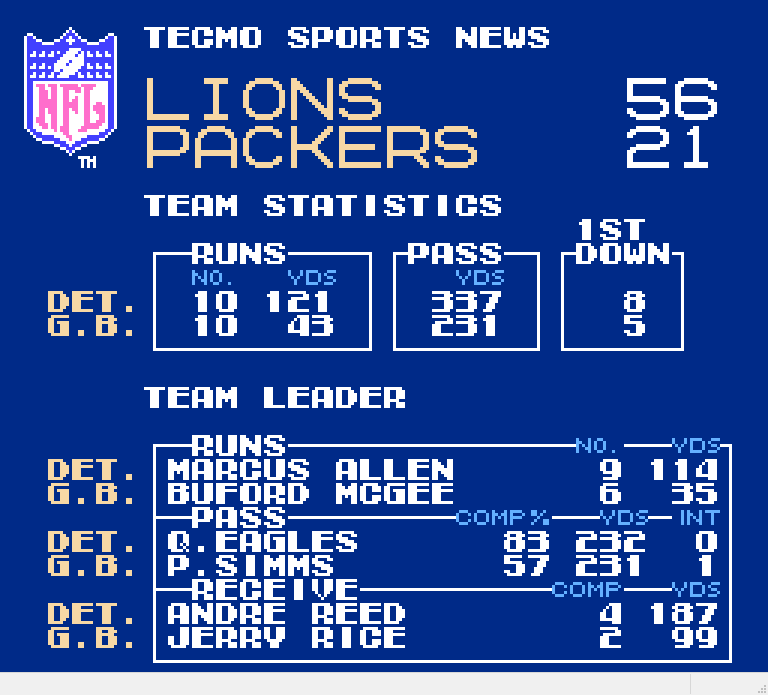 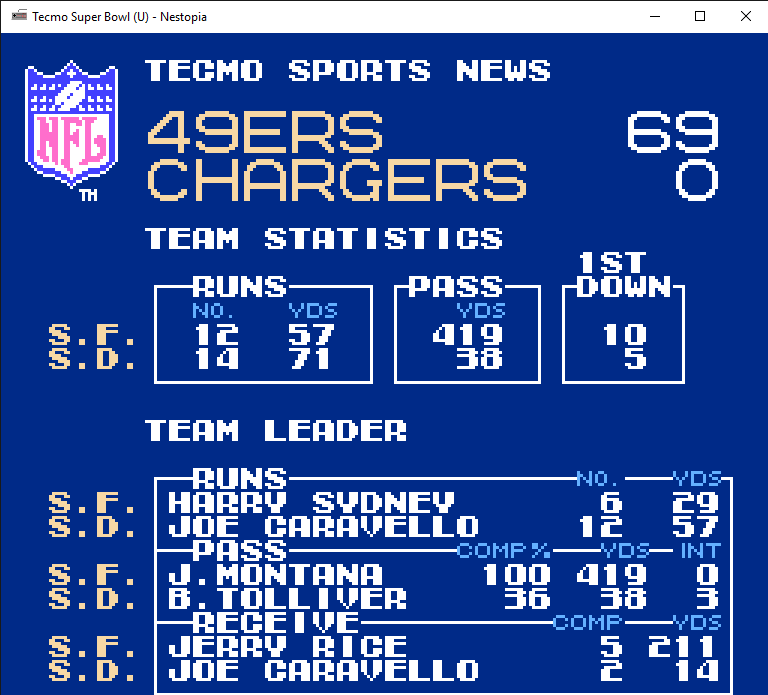 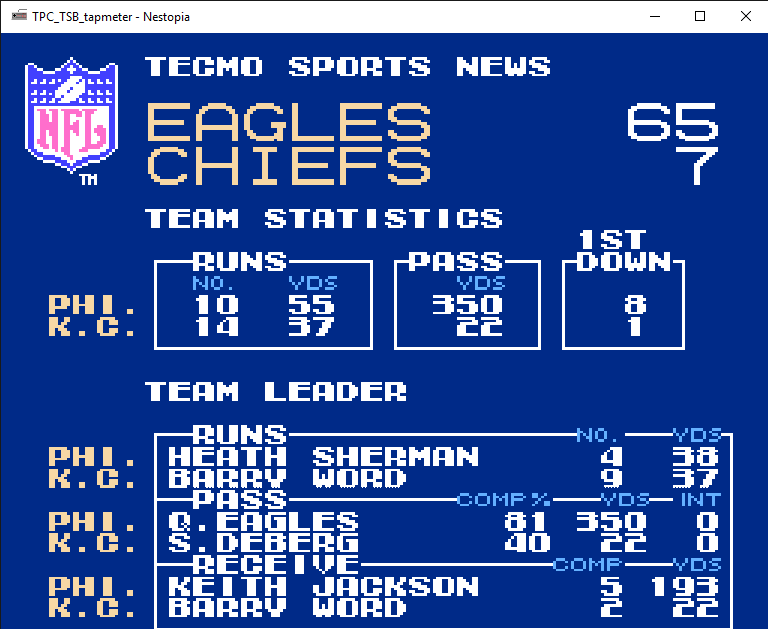 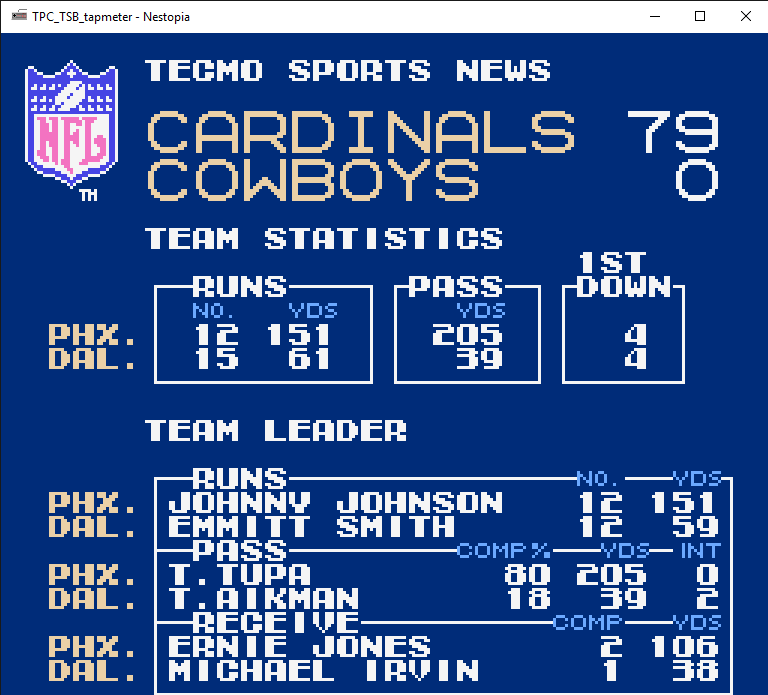 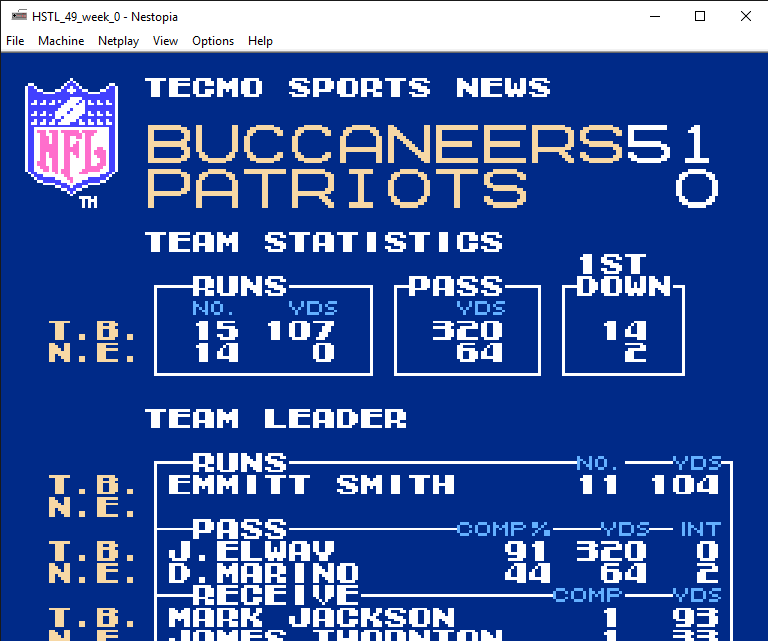 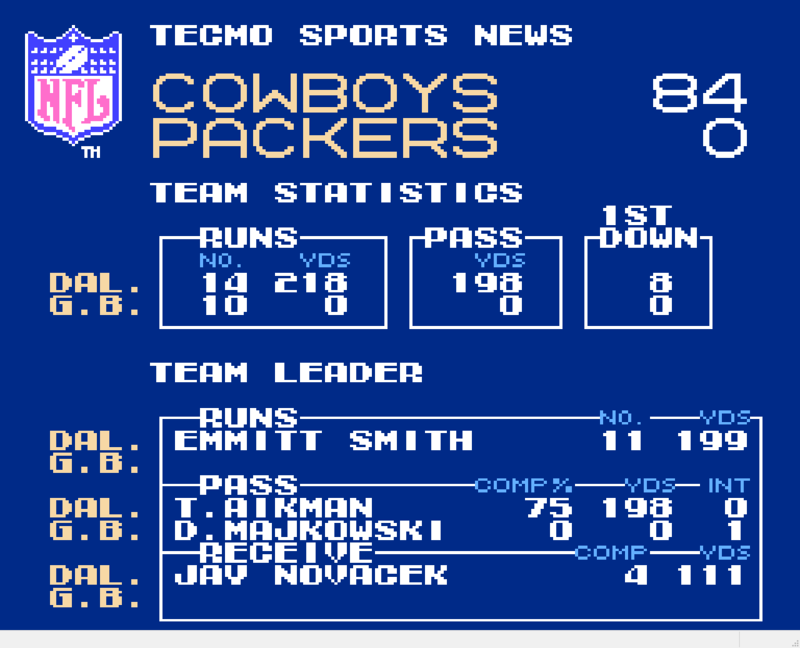 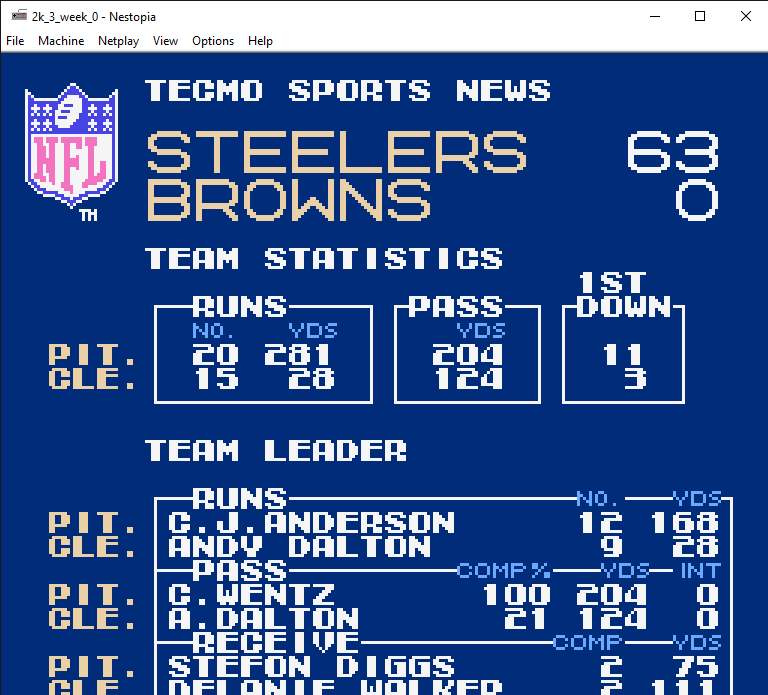 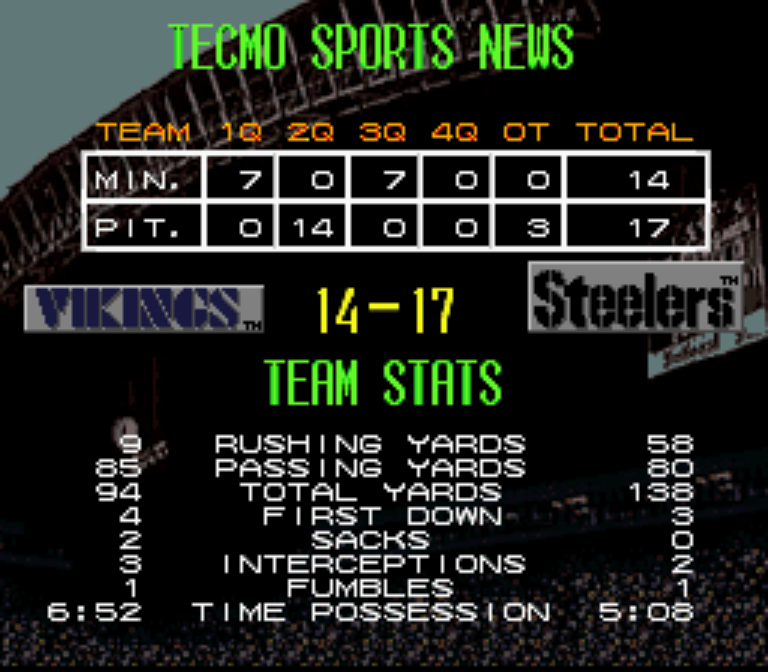 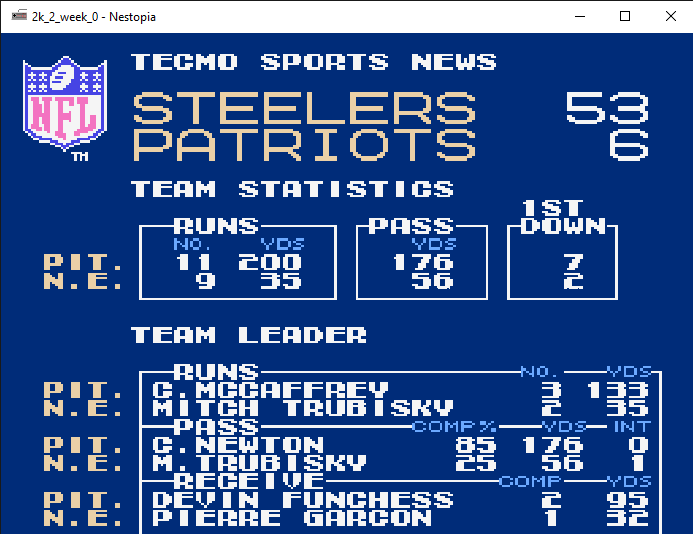 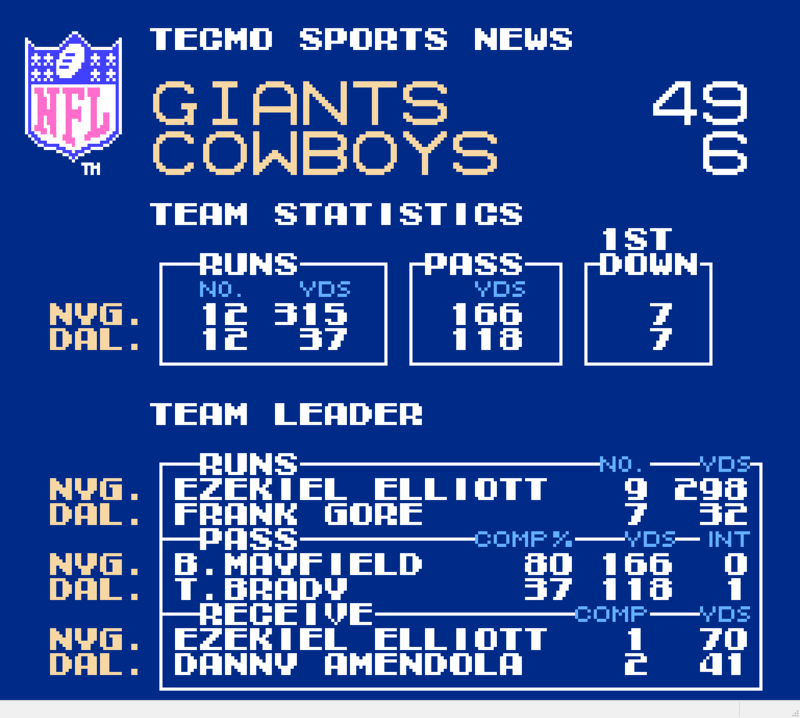 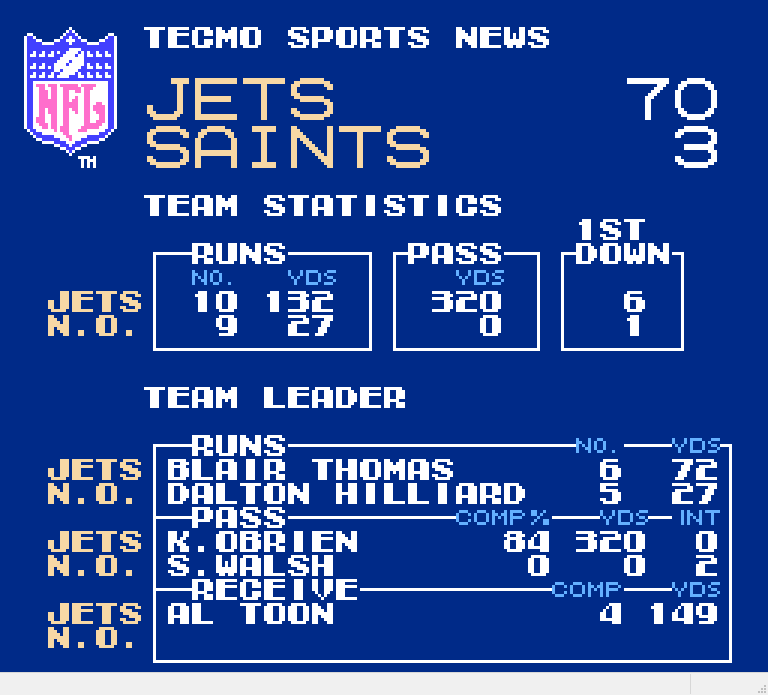 I wanted to give you a bit of encouragement, cause reading Tecmo stories is always fun. 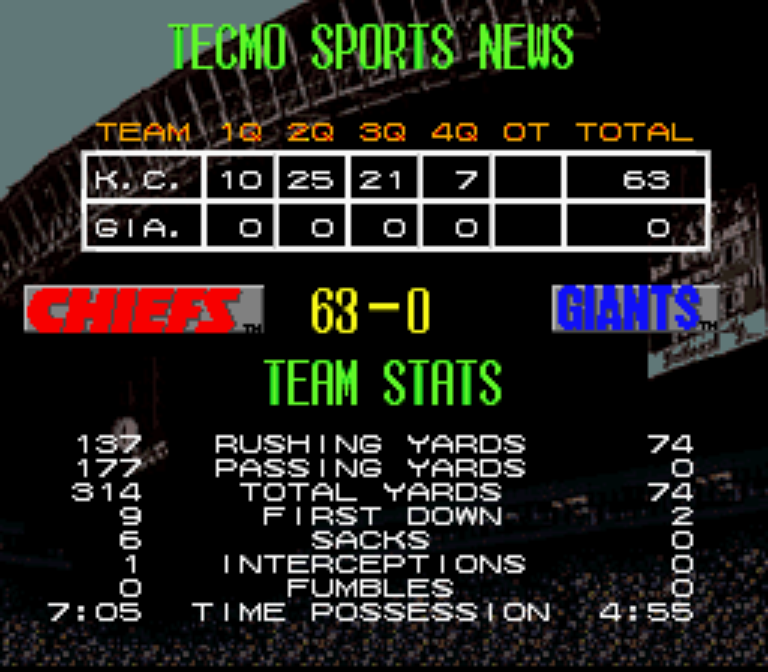 If you ever have any close games (including losses) where crazy stuff happens, feel free to write us up a story on it! 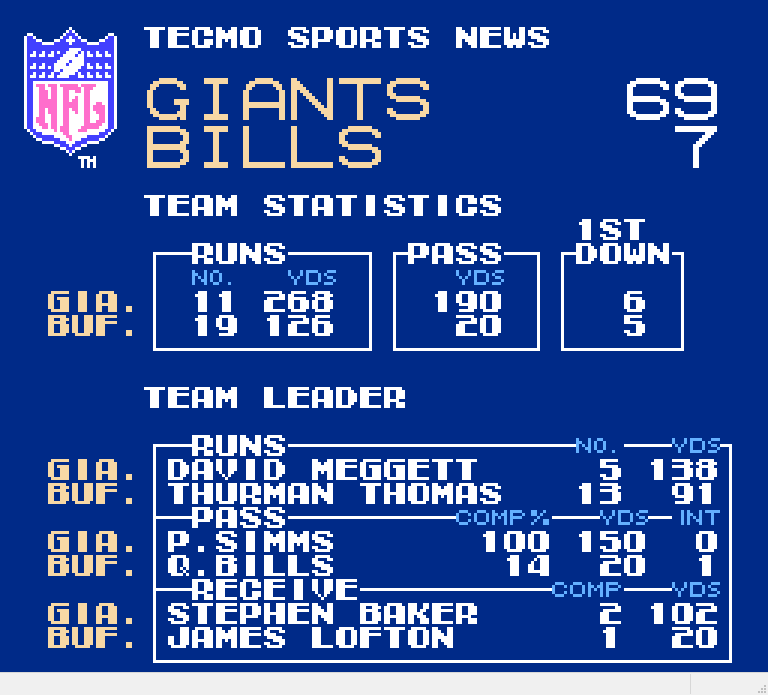 I will definitely give it a read! 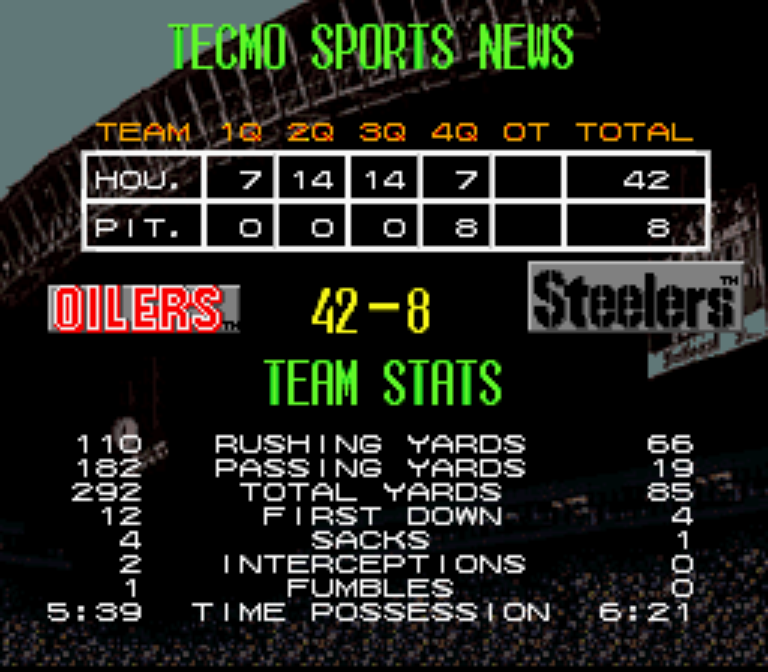 @_DEBERG Thanks for all the love. Don't worry I got plenty of stories to tell in the near future. 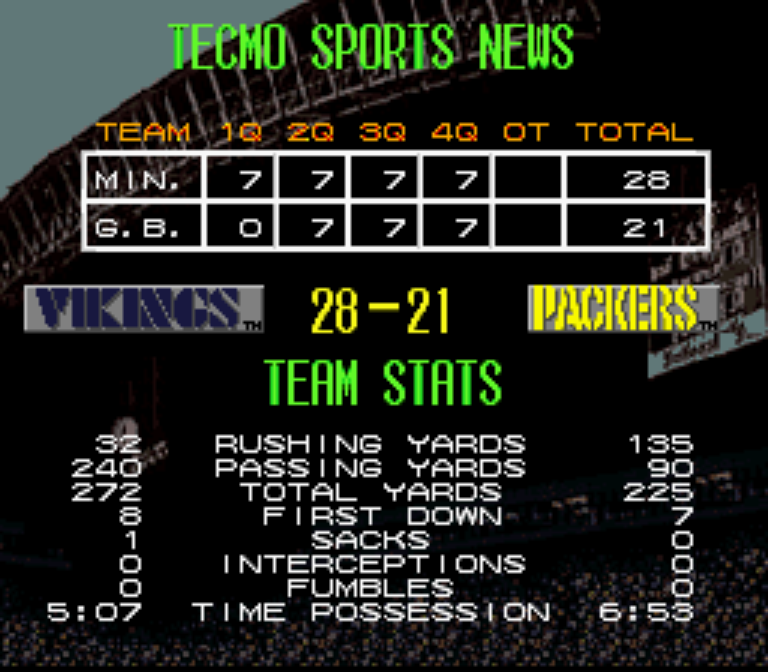 4th quarter game-winning drive with the Vikings! 2 Legit 2 Quit! 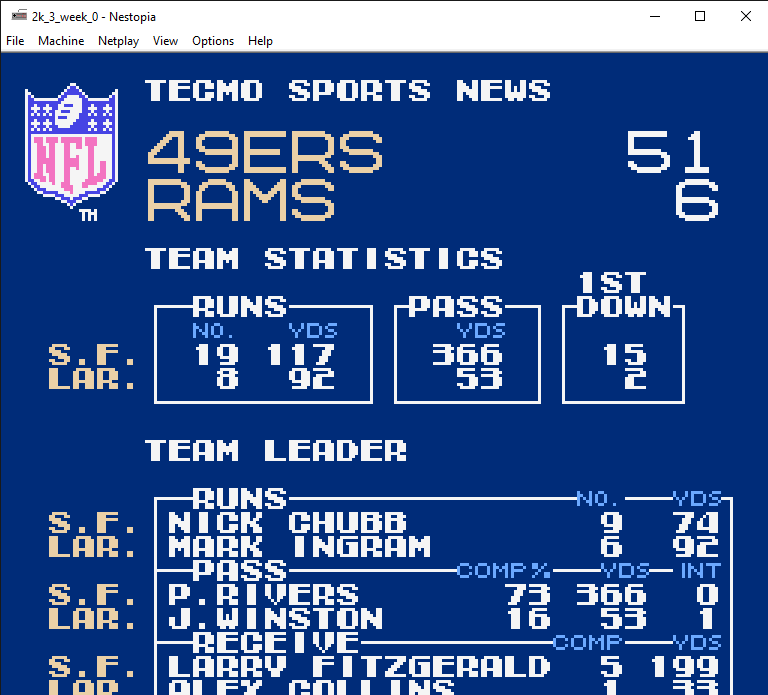 @TecSpectre Let's Go! 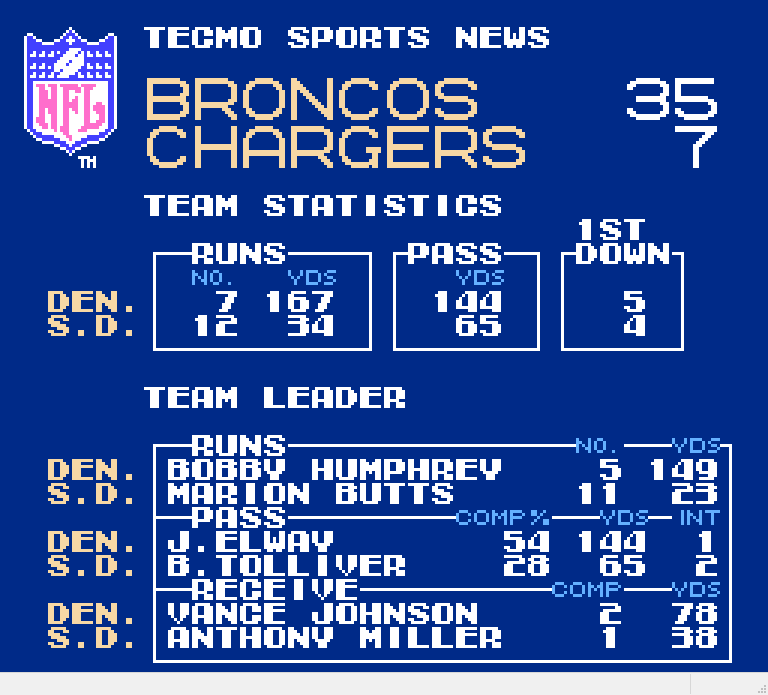 @_DEBERG Normally I don't losses however this one I can laugh about and why I still play so enjoy.